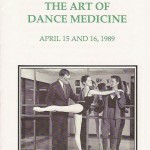 My colleague, Eric Jacobson, Ph.D., conducts research on alternative medicine at Harvard Medical School. In 2009 he received a grant from the National Institutes of Health to conduct a pilot clinical trial of structural integration as a treatment for chronic low back pain. He is currently completing the analysis of the data from that clinical trial, but is about to run out of funds. 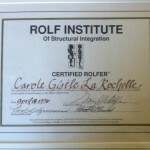 The Rolf Institute® of Structural Integration is asking for your financial help to completely fund and finish the study. Your tax-deductible contribution will help Dr. Jacobson complete the analysis of comprehensive data on pain and disability, psychology, balance, walking, and blood biomarkers for stress and inflammation. Here is Dr. Jacobson speaking about his study. 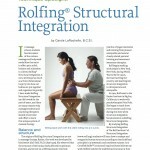 I hope you will consider making a contribution directly to The Rolf Institute. The goal is to raise $8,000 dollars by April 30, 2015, towards Dr. Jacobson’s project. You may also enjoy watching Dr. Jacobson speak in more depth about his project in this 55 minute presentation “Soft tissue manipulation for chronic low back pain: evaluating the promise of structural integration” filmed at Brigham and Women’s Hospital in May 2014.